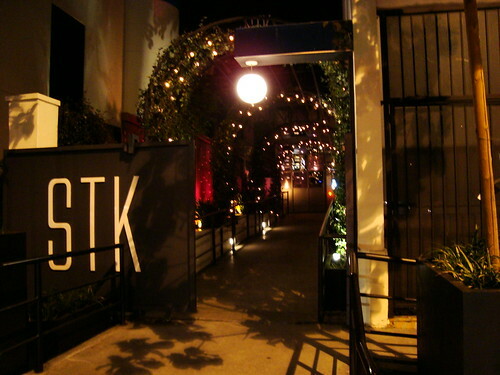 This year, we celebrated Valentine's Day a day early with a trip to the day spa and dinner at STK on La Cienega. I'm not big on red meat, so we make it a point to eat at steakhouses for special occasions. The place was packed with couples that looked like they were on first dates, nervous and full of expectations for the expectation-laden holiday. I love the restaurant's modern decor and vibe, a refreshing departure from other steakhouses in LA. The food was superb, with the bone-in ribeye making our top 3 list. The lump crab salad was generously lumped with crab and lightly dressed with a lemony vinaigrette. The mac n cheese was perfection, as it was superbly tasty but not too heavy. The garlic bread with pesto aioli was pure oily decadence. The only disappointment of the night was the ahi tuna tartare, which was unnecessarily oily. Ring: Yves Saint Laurent "Arty"
I hope everyone had a fabulously romantic Valentine's Day! I know replica handbags from personal experience that spares can make or break you, particularly when your strike ball is not rolex replica clicking as it should. Many a time I have gone what have also been endless frames without a strike, just changing each replica handbags spare as it sprang up, and then suddenly found myself right up in the running as the strikes begun to gucci outlet appear. The purpose I am making is that we kept myself in the running by making the spares and thus avoided those really bad low games that can cost the difference between winning a contest and finishing twentieth. So aim at every spare carefully. Play replica watches sale in your head each spare that you see on the lanes next to you. Play them smartly.